It has been a busy and varied week which started with a visit to two of the Borough’s foodbanks and ended with lunch at the Southport Anglo Polish Society. First stop was at St Leonard's Community Centre Foodbank where I met up with Debbie again. She had been nominated for an award earlier in the year by one of her volunteers. Most of the volunteers on the day that I visited were former firefighters. Everything was very well organised in accordance with the Trussel Trust's good practice. The centre had just taken delivery of a new trolley, in the photo, donated by the staff at Maghull Lidl . Next stop was the main storage site for foodbanks in the area at the Waterloo Town Hall. 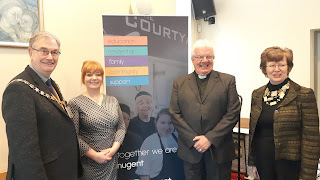 Gail, the manager, explained the various partnerships they have developed with supermarkets, local businesses and most particularly with the churches and schools. I was impressed by the professional organisation. I was interested to learn that they produce a regular shortage list of products they need to make up the deliveries. I know myself that you are not sure what is needed. Each bag has a set variety of goods and sometimes the foodbank has to 'buy in' products to ensure they get the right balance of foodstuffs. I have put the shortage lists on the http://themayoralblog.blogspot.co.uk I think these visits are very important as the give me an opportunity to acknowledge and thank the volunteers who carry out important work in our communities. 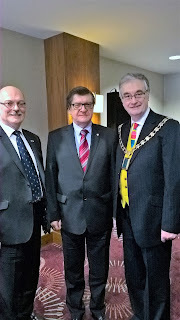 Finally, this week I attended a lunch with the Anglo Polish Society. 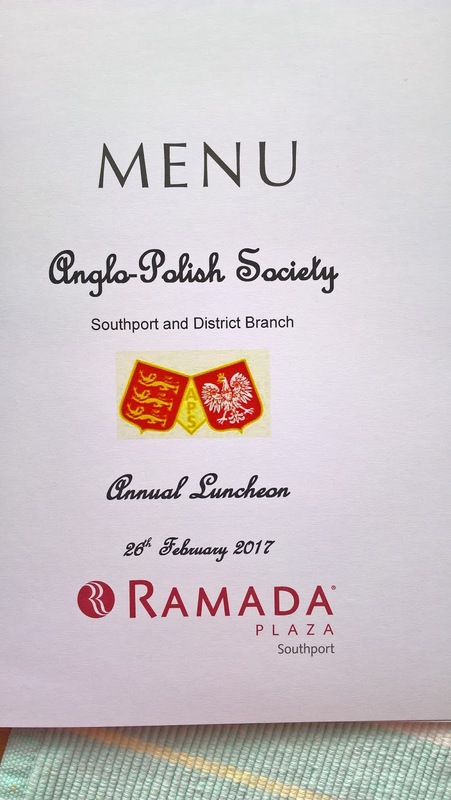 There has long been a Polish community in Southport and they have made a significant contribution to the community economically and in many other ways. They are anxious about the impact of Brexit. Speaking at the meal respected local solicitor, Andrew Otto, drew attention to the uncertainty many Polish feel about whether they will be able to stay after 2020 and urged parliamentarians to accept the amendment being proposed in the House of Lords. As I write the House of Lords have done as Andrew asked. The event was attended by the Polish Government’s new Consul General for the NW. It is sad that we have foodbanks. Equally I hope that we can keep EU nationals in the country.